The City of Hamburg, though small, has a rich history. Known as the “Wunderbar” city according to the city website, the area was settled mainly by Germans from the Hanover, Rhineland, and Mecklenburg areas of Germany. The first claims in the area were settled in 1857. Hamburg as a village did not exist until 1881, years after the area was first settled. Credit for the development of the town goes to Johann Diedrich Roeders, after he sold land to the Minneapolis and St. Louis railroad, who designated a “stopping place” along the route, where Hamburg now stands. After getting the railroad into town, original landowner Roeders began platting the town, naming the streets after his daughters: Sophia, Maria, Henrietta and Louisa. These streets still exist in the twenty-first century. Many names were considered for this new village, including: Roeders, Siding, Sultan, and Washburn. J.D. Roeders proposed the name Hamburg. It was spelled “Hamburgh” until 1892, when the “h” on the end was dropped. 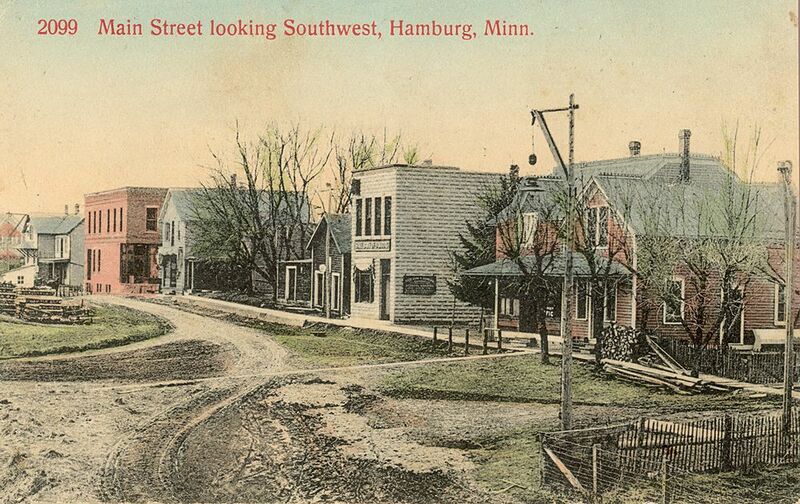 The village of Hamburg was officially incorporated either in 1897 or May 1900, according to various sources, with a population of 153. The incorporation had been put off until then because a minimum population of 150 was needed to incorporate. To accomplish this, the village boundary was stretched to include the Jacob Hebeisen residence, bringing the population up to the needed 150. The first elections in Hamburg were held on May 15, 1900. 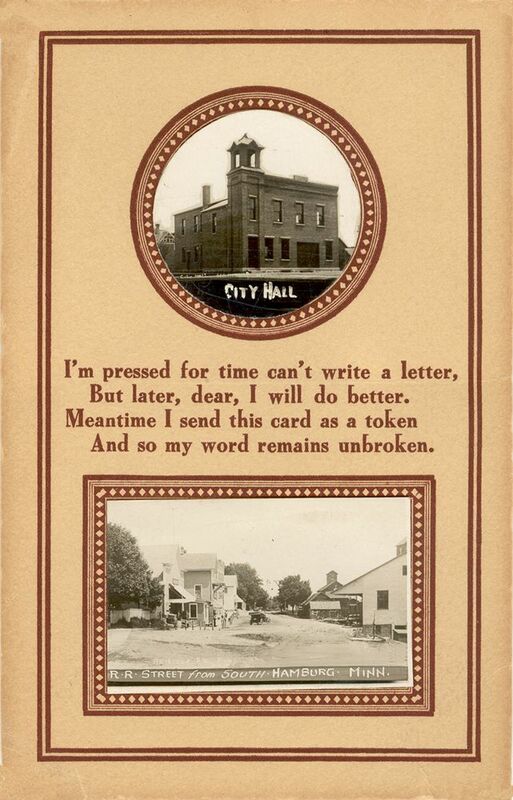 The first council meeting was held two days later on May 17, 1900. 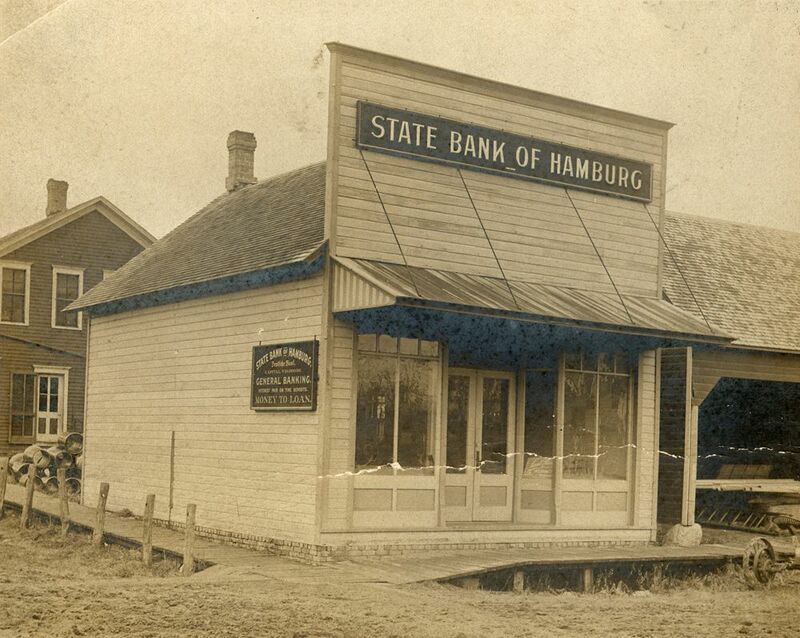 Hamburg received its first post office in 1881, in the Dreier Harness and Leather Making shop. There were many postmasters over the years, including Henry Dreier, from 1901-1925. The first rural mail carrier for that area was Ed Beneke, from 1909-1946. A local story tells of the famous Charles Lindberg landing on Beneke’s farm, and staying to give rides to local citizens. One passenger even lost their shoes during the flight. Hamburg gained a fire department in 1901, and its first public school around 1915 or 1916. Today, public school students are bused to the Norwood Young America schools. Emanuel Lutheran Church was organized in 1857 by Friedrich Kahmeyer. The church was originally called St. Emanuel, meaning “God with us.” The pastor offered school during the week starting in 1858. The first licensed teacher for Emanuel arrived in 1872, and a school was added to the grounds in 1879. The school still in use in the twenty-first century was built in 1938. Another church, St. Paul’s Evangelical Reformed Church, was added in 1868. Baseball has been an important part of this town’s history for many years. Since the early 1900’s, the town has had its own baseball team, competing in amateur leagues against other small towns. In 1950, the Hamburg Baseball Club was officially organized. The group hosted their first “Schafskopf”, or sheephead, tournament that same year. The town built a 200-seat stadium in 1981, and hosted a few State Amateur Baseball League tournaments in the new stadium over the years. Hamburg first competed in State tournaments in 1969, and again in 1974 and 1975. The tournaments they hosted were the 60th State Amateur Baseball Tournament, co-hosted with Arlington in 1983, and the 65th Annual, co-hosted with Chaska in 1988. Five individuals from Hamburg have been named to the State Baseball Hall of Fame: George Droege, Harlan Dammann, Marvin Scheele, Loren “Lefty” Graupmann, and Martin Siewert. In the twenty-first century, Hamburg is one of the smaller communities in Carver County. Located among rich farmland and various farms, Hamburg also boasts a number of businesses, such as Molded Foam Products, Parkside Tavern, Schneider Machine, Timberline Woodproducts and Triple L Limo, among others. Hamburg remains a thriving and vibrant Carver County community. Fasching, Darlene Wendlandt. 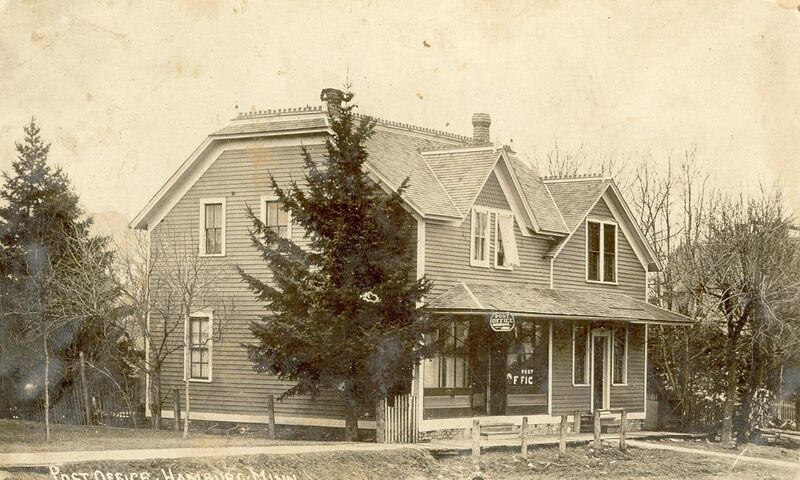 Hamburg, History of a Central Minnesota Village. Self-published, 2011.